That is a cool story about the lady's hair! Hey are you selling those olivettis? I've become very fond of my Lettera 31--it has become my default typewriter lately just because it's so lightweight and easy to pull out, not to mention comfortable to type on. The one thing it's missing is a tab feature, but I really only use tabs for paragraph indents, and thanks to Matt's revelation of the Letteras' secret paragraph indent feature, I don't need to miss it anymore. Nice little machines. I like the blue ones here! So tempted to buy a Selectric someday. A red one! 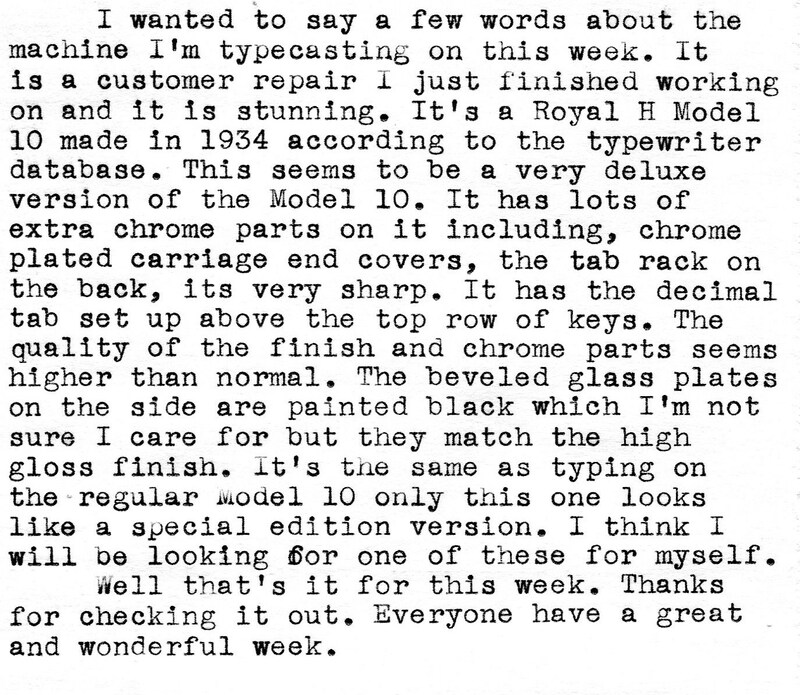 Tell me those Olivettis are better than the 319, which I still declare to be the World's Worst Typewriter (second place: Hermes 3000). That story about the hair is great! Ha! 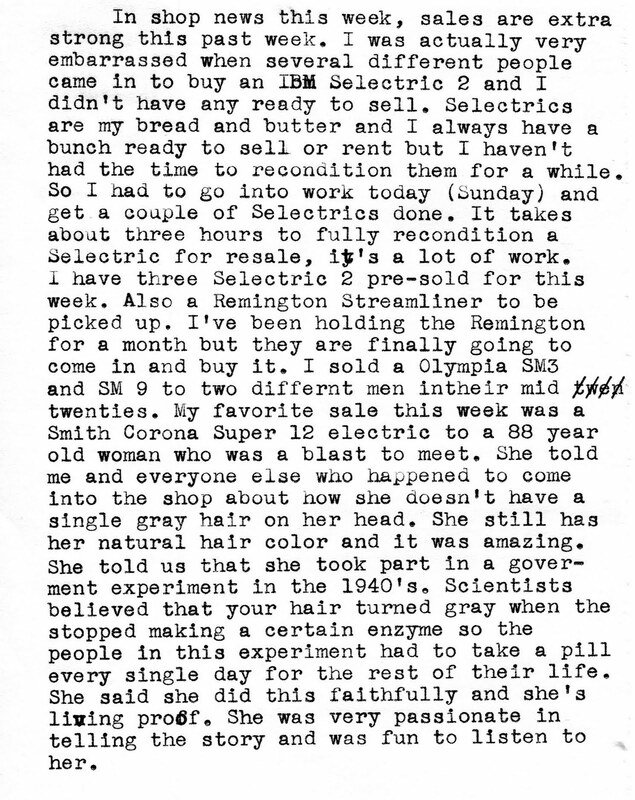 notagain- I am selling those Olivetti's. Email me and let me know what you have in mind. Richard- That must have been one heck of movie! Little Flower Petals- Matt is one smart dude. He tells me typewriter stuff I don't know all the time. Strikethru- I think you should go for it. Millions of typist can't be wrong. And red does make a statement. 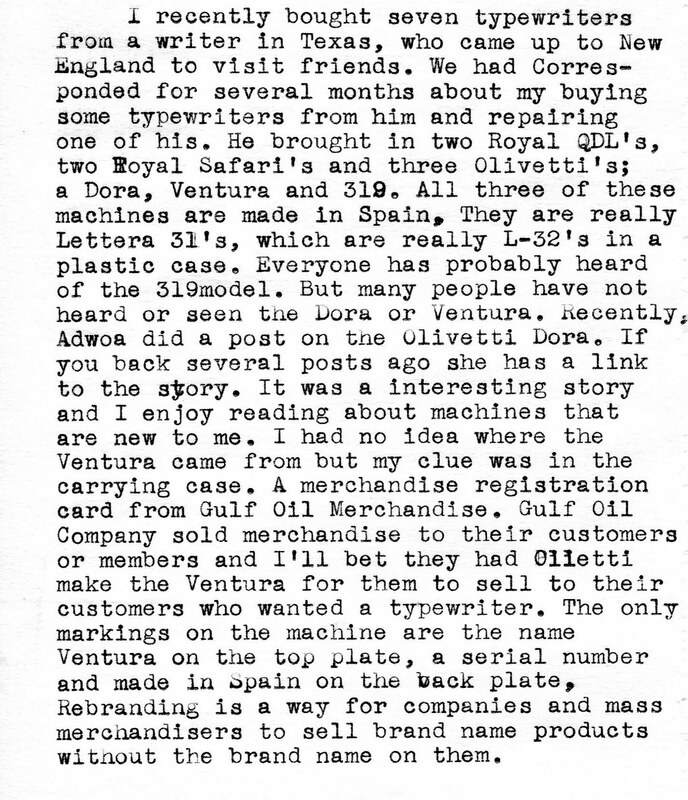 An "Olivetti Three-fer" sounds like something you'd get at Friendly's- with home fries and coffee! Ayuh!